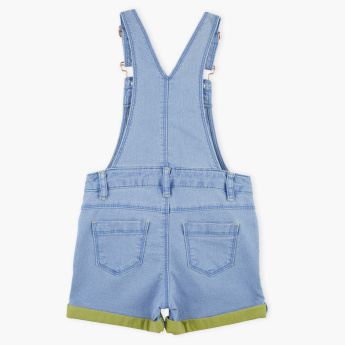 Add this stylish denim dungaree to your little one's wardrobe collection. 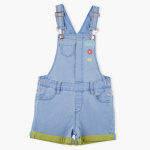 The pocket detail and applique on the dungaree gives it a trendy look. Made from a comfortable fabric and elegant style this outfit is a must-have for your little bundle of joy.